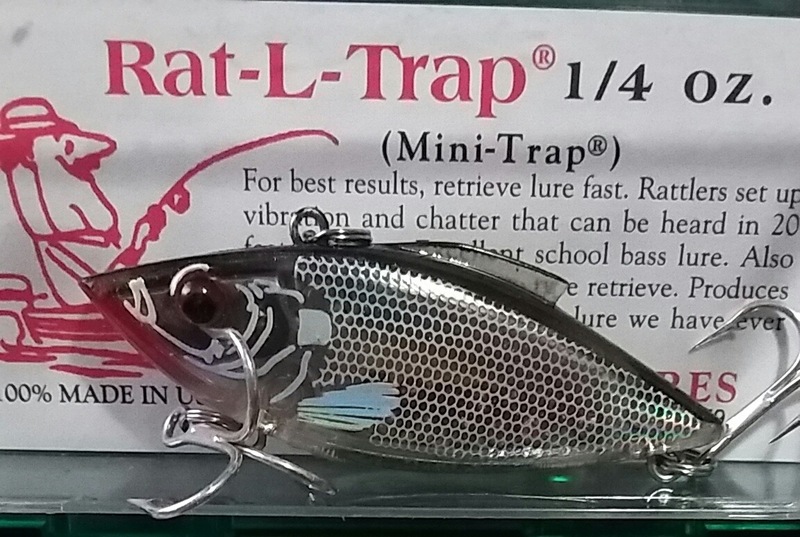 I never used this type of lure and I’m curious what you guys think bout how it works , does it work better at night or day? Sunrise/sunset? Any input n advice will be appreciated thanx guys!!!! You should include a photo of the actual lure and size to help with the advice......also what species you intend to use it on Tony. Welcome to the site. Include a joke for being a new member and you'll get rave reviews. Gags grabbers .. is what you seek .. and yea they work .. day night , best when peanuts around but definitely a fish catching bait .. They also work well when the shad are schooling. I actually think the bleeding versions work a little better, but that could just be in head. They come in crawdad colors that work well in shallow water, do a little bounce retrieve off the bottom and lmb get on it. So there you have Tony and I'm sure others will chime in as well. Hope you're scrounging the inter webs for some cool jokes. good lure for searching for fish,any time,salt and fresh water. simular lure red eye shad. There are a ton of great lipless cranks, I think they imitate the profile of peanuts quite well. Stop and go in shallow water, yoyo in deep. 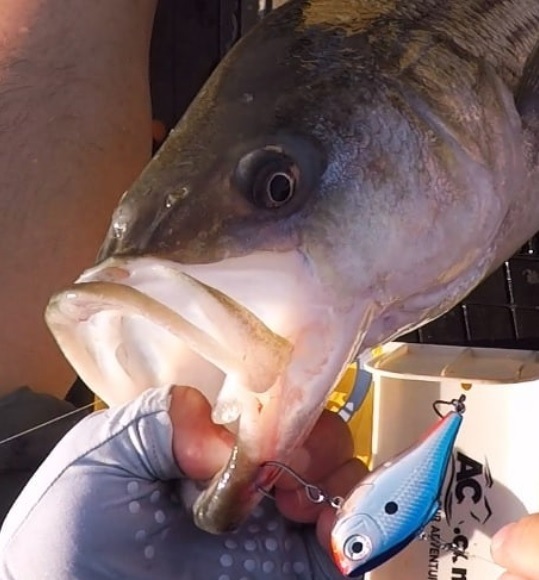 Some have a shimmy on the fall (Red Eye Shad), some have a nice swim/spiral down (Rippin Rap). We used to do very well with the smaller 1/2 oz rattle traps on schoolies both day and night. It was at time when peanuts as well as large bait were abundant. It was a very hot lure at times and somewhat cold at times too. For some reason the larger sizes never produced bigger fish for us either. This was at a time when there was a pretty good abundance of larger fish too. Noise in a plug is funny thing to me. I know it helps sometimes but I also know it can be a turnoff sometimes. The rattle traps we used to use were very noisy. It would stand to reason larger fish may be a little more wary. These days there are a lot of baits on the market like this. 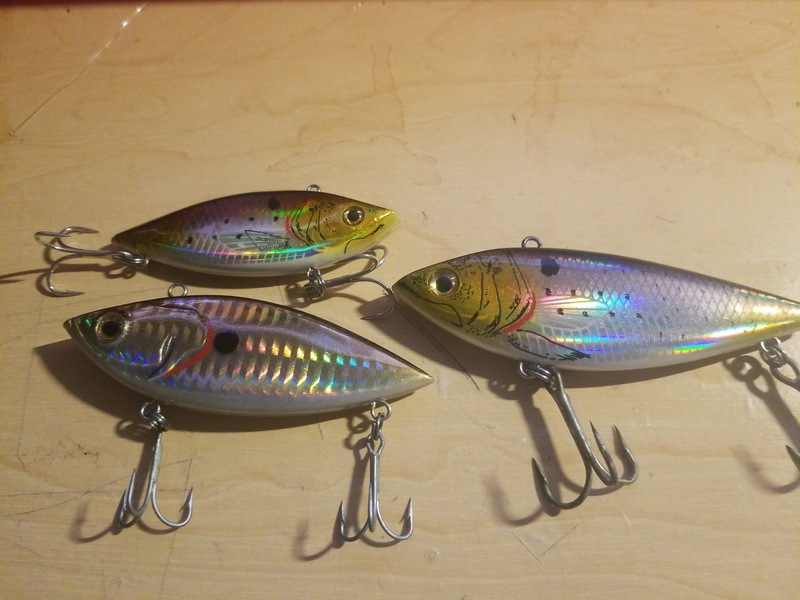 If you care to experiment, I would not chase colors with these lures. I would be more inclined to try a size of two with a few with different pitches to the noise or maybe ones without any rattles and compare them during a good bite. I would take a chrome with a black or blue back over just about any other color for either day or night. Best of luck. I use them alot for freshwater. Oddly enough, I liked them for shallow water flounder and fluke. Mostly because those lures are bad in weedy spots and flatfish like sand. Mostly use them in bay around bridges on the curved bottleneck areas with incoming flow. Seems like the only thing that catches fish and not skates or Robins for me. I use them as well for bass fishing and they work really well. In early Spring I fish them slow dragging them on the bottom. The fish will pick them up. 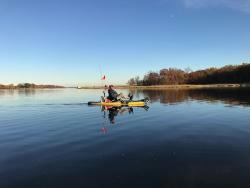 As the water warms, I will cast and retrieve with a pause in between. This lets the bait drop and many times this change in cadence triggers the fish to hit. 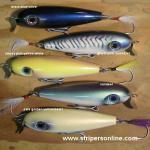 These baits have a very tight wobble and make a lot of noise and get the fishes attention. Definitely a good all around lure to use and it catches fish. Stop and go in shallow water, yoyo in deep. This is great advice. I've found the yoyo or jigging type retrieve generally works the best. If there are fish feeding on smaller baits, especially peanuts, and kind of hanging around some sort of structure like a bridge piling then the yoyo retrieve is deadly. 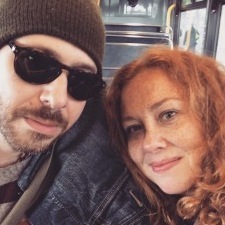 They pretty much always hit on the drop. Once you solve the riddle it can be a lot of fun. They make one with no hooks, just a hole that the leader goes through - killer fluke, drifting dirty water, lure. A decent short shank J hook, a bead so the lure doesn't sit on the knot, and a strip bait - all behind a fishfinder or off a dropper.